Mesotherapy is a virtually non-invasive hair loss treatment used worldwide for treating almost all types of permanent and non-permanent hair loss. It is a very effective, non-surgical alternative to hair transplant surgery that is widely practiced round the globe to delay and stop hair loss in both men and women. 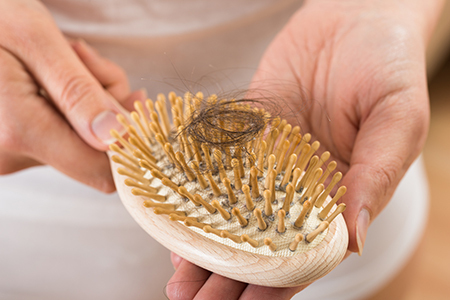 While hair transplantation is the most popular and most effective way of treating hair loss, people tend to have reservations about going under the knife. For them, Mesotherapy can be the answer. How Does Mesotherapy For Hair Loss Work? The product is customized according to the patient needs and then administered into the scalp using very small needle. It primarily works by enhancing scalp circulation. Better blood circulation in the scalp helps nourish damaged and miniaturized hair follicles and strengthens them to trigger more robust hair growth. Besides re-growing hair in the thinning or balding areas, it can also help delay male pattern baldness for a significant time. Mesotherapy is a simple procedure that takes up to 1hour at most. The treatment is proceeded by filling the consultation card which allows the therapist to make sure the client is not contraindicated to the procedure. Who Is An Ideal Candidate for Mesotherapy Treatment? The best candidate for Mesotherapy is a person suffering from initial stages of hair loss. Needle Mesotherapy is a virtually painless treatment. It is performed with a very small needle and the client will feel only a tiny pinch sensation on the skin. An anaesthetic cream can be used for client comfort to numb the area of the skin treated. The procedure does not require any extensive post-procedural care. Client must avoid washing their head (for min of 24 hours) and direct sunlight (for at least a month). The therapist may also recommend to gently massage your scalp 2-3 times a day for 3 to 4 days post-procedure. This will ensure efficient distribution of the injected ingredients. Average of 10 treatments with 10 days intervals between each treatment is recommended. Why To Have This Treatment At Sixth Sense Beauty Clinic? Thanks to years of experience and regular participation in training seminars and courses, we stay up to date with the newest and safest techniques available in the market. This enables us to provide satisfying and long-lasting results. We provide a free consultation during which we answer questions and provide enough information to help a potential client make an informed decision! All cosmetics used in the treatments are cruelty-free.